The Video Consumption Statistics in Germany was changing day by day across the globe and here is a short look on video usage and viewing rate in Germany. 1. Short video content is most watchable in Germany. 2. More than 80 percent of respondent are watching YouTube videos at least twice a week. 3. 75 percent viewers revealed that they are watching the videos to gain some information. 4. 50 percent people in Germany are watching YouTube videos for fun. 5. 44 percent Germans are watching YouTube video to relax. 6. 51 percent viewers are watching videos by chance during a search on the internet. 7. More than 41 percent viewers are watching video content during reading an article online. 8. 8 percent viewers are discovered the video content during advertising. 9. According to the survey reports, more than 35 percent viewers are watching the video every day. 10. According to 2016 reports, it is revealed that Germans are watching more than 15 minutes of YouTube videos daily. 11. According to the recent research reports, it is revealed that more than 45 million unique viewers are noticing at an average. 12. Germany was in top five places in online video viewing. 13. Viewers in Germany are watching video content at least 188 videos at an average. 14. An average viewer is watching at least 19 hours of video per month. 15. More than 45 million German users had watched online video in one month. 16. Video watch time had increased gradually in Germany comparing to previous year reports. 17. Machinima is the top German video channel which has more than 4.3 million views from Germany itself. 18. Video gaming channels are the most popular one in Germany as they love watching videos related to the video games. 19. More than10k unique video viewers are noticed daily on Facebook platform. 20. More than 90 percent people are using multiple devices to watch videos. 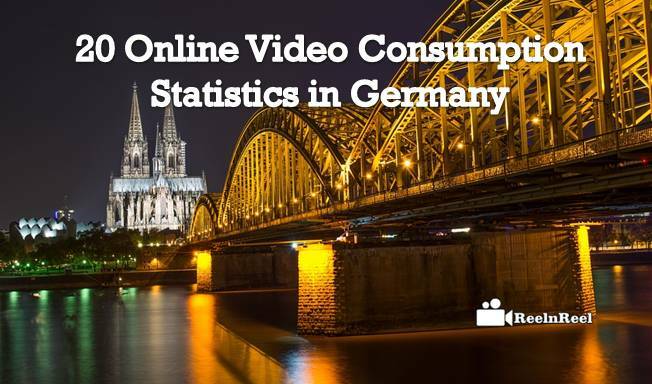 Therefore, these are some interesting statistical data of Germany in online video usage and marketing.